Our 2017 review of Queen Mary's Dark Harbor. This event is quickly becoming one of our favorite Halloween events to attend each year. Congratulations to the entire staff of designers, builders, makeup artists and of course monsters that help make this event great. Creep LA has done it again. This year they present to you Lore, based on the Amazon Prime podcast of the same name. This is our complete review of the event without giving away spoilers. This is something you must experience for yourself. When it's over, you'll want to go back and experience it again. Please read our review, share it with your friends and families, leave comments, give feedback. We'd love to hear from you and so would the amazing folks at Creep LA. Hope you enjoy, Lore. 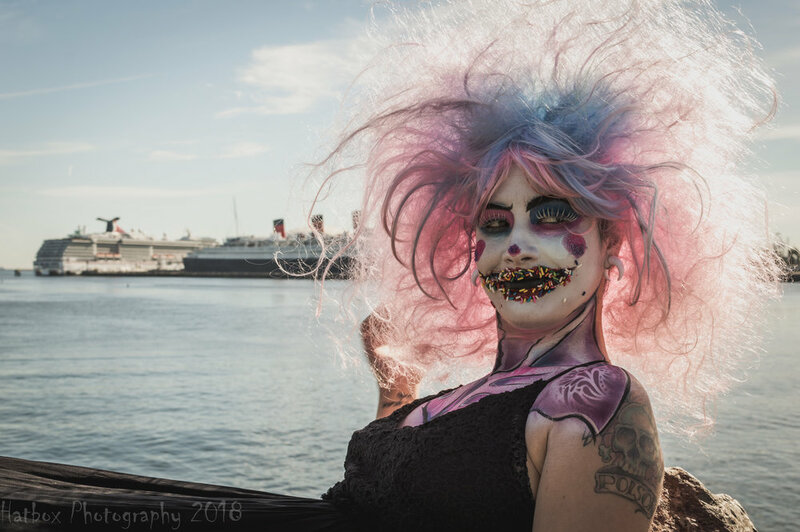 Our 2016 review of Queen Mary's Dark Harbor. This event is quickly becoming one of our favorite Halloween events to attend each year. Congratulations to the entire staff of designers, builders, makeup artists and of course monsters that help make this event great. This is our review for opening night of Knott's Scary Farm 2016. This is our honest opinion of all mazes, shows and scare zones. As long time fans and former talent of the event, we tend to be very critical and expect the very best from Knott's. This year's event does not disappoint and may be one of the best year's Knott's Scary Farm has had in a very long time. This is my review on Creep LA, one of LA's hottest new Halloween attractions. This is a must see event. Such a talented group of artists and actors that have come together to provide you with a creepy good time this Halloween season.